National Cleanup Day is an annual observance held on the third Saturday of September. Its main goal is to raise awareness of the importance of litter reduction in the outdoors and to encourage people to clean up parks, trails, beaches, mountains and open spaces throughout the United States. 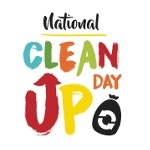 National Cleanup Day is held in partnership with Clean Trails, a non-profit organization that was created to keep wild places and the trails that access them free of litter. Clean Trails was founded by two avid hikers, Steve Jewett and Bill Willoughby, whose desire to keep their hiking trails clean ultimately developed into a nationwide movement. The idea of National Cleanup Day is very simple: on the third Saturday of September, everyone is encouraged to pick up at least on piece of litter to reduce litter outdoors and to make Mother Nature proud. It doesn’t take much effort at all, but even one piece of litter makes a difference. According to studies, people are more willing to pick up litter if they witness someone else doing it. That’s why National Cleanup Day is all about community. Its creators believe that people are naturally responsible and want to do the right thing; all they need is a little encouragement to pick up after themselves and keep their favorite places clean.